The standard for inshore and back bay saltwater fisherman country-wide has arrived. The Daiwa Saltist Back Bay LT Reel employs Daiwa's revolutionary HARDBODYZ design which utilizes an aluminum metal alloy, giving maximum strength and minimizing weight. These design features combine to create one of the lightest, strongest reels on the saltwater market. The Magsealed main shaft employs magnetic oil that repels intrusion from salt water without compromising performance. The machined aluminum alloy DigiGear assures smooth, rugged performance with digitally milled gearing to maximize the efficiency of the gear-tooth interaction. 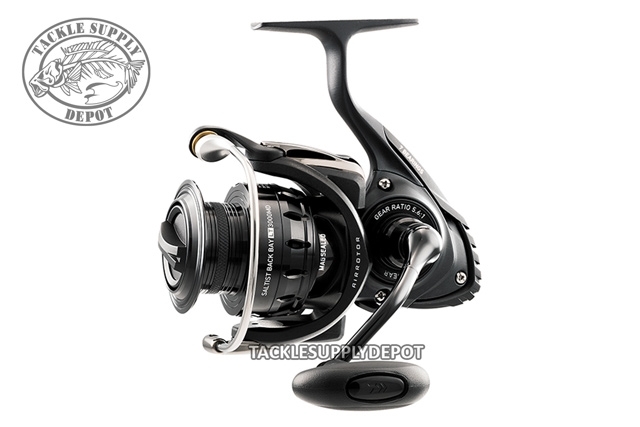 Ideally suited for 8- and 10-pound test mono and equivalent braid, the Saltist Back Bay LT is Daiwa's state of the art interpretation of the perfect light tackle backwater spinning reel.